"I want to share with you a quick email from a soldier on the front lines of our Arts: an elementary/middle school teacher from Salt Lake City, Ms. Audrey Hill, who is fighting the great fight! She brought her students to the recent HD telecast of La Cenerentola, and wrote the following note to me: 'One of my boys...a 5th grader...wrote in his review this morning that one of his favorite parts (besides the spaghetti food-fight scene) was where at the end you were singing about getting revenge, and how he really liked that your revenge was going to be forgiveness. This boy was new to our school this year, has a beautiful singing voice, and has been teased a lot. I have seen him getting more and more angry as the year was coming to a close and today it seemed like all that had disappeared. 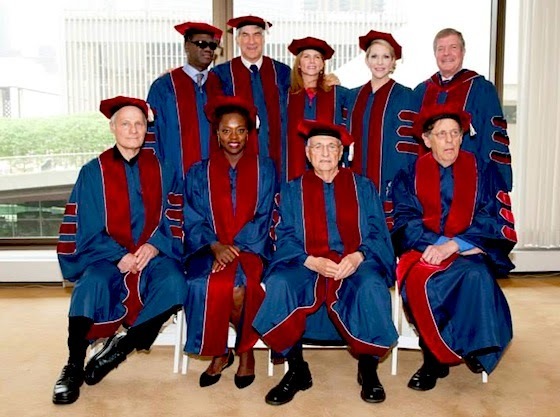 It was very moving for me to experience.'" 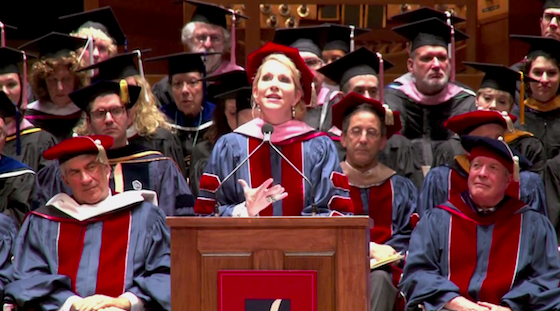 [Source] The Juilliard School’s 109th Commencement Speech by Joyce DiDonato can be read here in its entirety or watch the video after the jump.